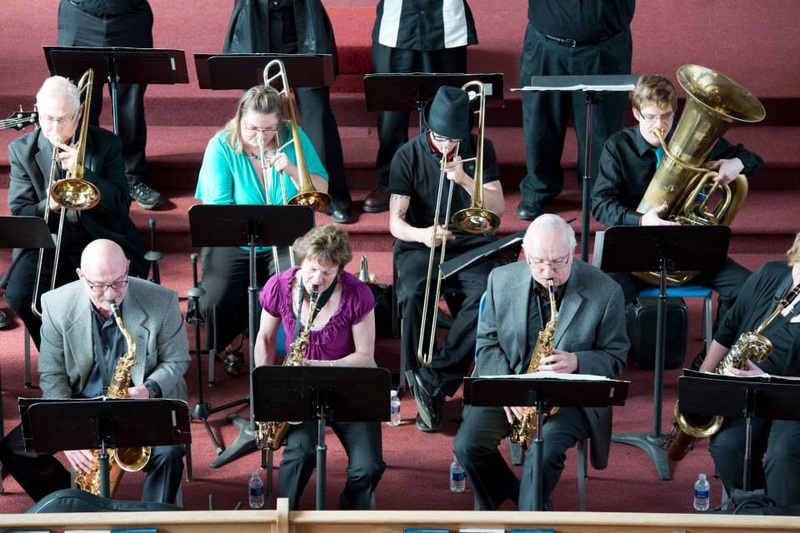 Nearly two dozen musicians will perform onstage during Kellogg Community College’s Jazz Ensemble Spring Concert this month. The concert, which is free and open to the public, will begin at 7:30 p.m. Tuesday, April 26, at the Binda Performing Arts Center, on campus at 450 North Ave., Battle Creek. An ensemble of 20 musicians participating in music through KCC’s MUSI 161: Jazz Band course this spring, the ensemble has performed free concerts on campus and off throughout the fall and spring semesters. The ensemble each year affords students the opportunity to develop performance skills in both contemporary and traditional jazz music. For more information about upcoming music events or about opportunities to study music at KCC, visit www.kellogg.edu/music.